What if I want a burial? As costs and arrangements can vary dramatically throughout the UK it is essential that you discuss these issues with us directly or with your local independent funeral director. Feel free to call us for more information and to discuss your needs. What happens if I die while on holiday or away from home? Your funeral director will arrange collection from anywhere in the UK, although a fee may apply. If you die abroad then repatriation costs will be incurred. Please check that your normal travel insurance policy covers this. There are a number of ways. You can pay securely online through this website, you can pay by cheque or bank transfer or you can pay over a number of months, interest free over 12 months or up to 10 years (with charges that add to your plan value not to our bottom line)* by direct debit. Feel free to contact us directly by email or phone to discuss payment if you wish to. What if I die before I have paid in full? The plan will continue as you have requested and your estate or relatives will pay the difference between the plan value and the cost of the funeral. Your payment is made into the Open Prepaid Funerals Trust Fund where it is managed by a board of trustees and investment managers. The trust fund is a separate entity and independent from Open Prepaid Funerals Limited. The trust fund is invested in a wide range of options to target long term growth. We normally nominate a funeral director for you when you take your plan out with us directly but if you have a preference please let us know and we'll speak to them on your behalf. Of course you may choose to arrange your plan with an independent funeral director, just talk to us to discuss this route. Do I have to add third party costs? No you don’t but we do recommend it. If you do choose to add a contribution towards disbursements, currently set at £1,100.00, they may be covered at the time of need. Unfortunately, because disbursement costs are not set by funeral directors the rate at which these costs increase are not in the control of the funeral director. Can I personalise my plan? The Open Plan is designed to be as personal to you as you wish; choose one of the standard plans and personalise that with your own preferences including readings, songs, hymns, flowers, donations to charity etc. We can also help you to create a completely unique plan to you either directly with us or through a local funeral director. Just get in touch with us for more details. Is the company independently owned? Open Prepaid Funerals Limited is a privately owned UK based company and has been successfully operating since 2003. If you move we will endeavour to place you plan with a newly nominated funeral director local to your new residence. Should you wish to we will keep you involved in this process. If I propose a Funeral Director are they guaranteed to accept my plan? 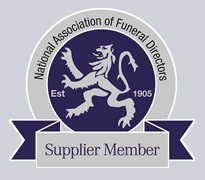 We have a very high rate of plan acceptance because we are able to show funeral directors why Open is such a good choice for them and we are a registered provider with the Funeral Planning Authority. However, if your preferred funeral director doesn't want to accept your Open plan we'll propose an alternative funeral director to you. If you're not happy with our proposal we'll give you a full refund of any payment you have made towards your plan. * A charge is made for instalment payments between 12 and 120 months which is equivalent to an APR of 4.9% however all of these additional charges are applied to the value of your plan and is not a way for us to make profit. Are you still unsure about something? If so, you can ask us a question using the form below.